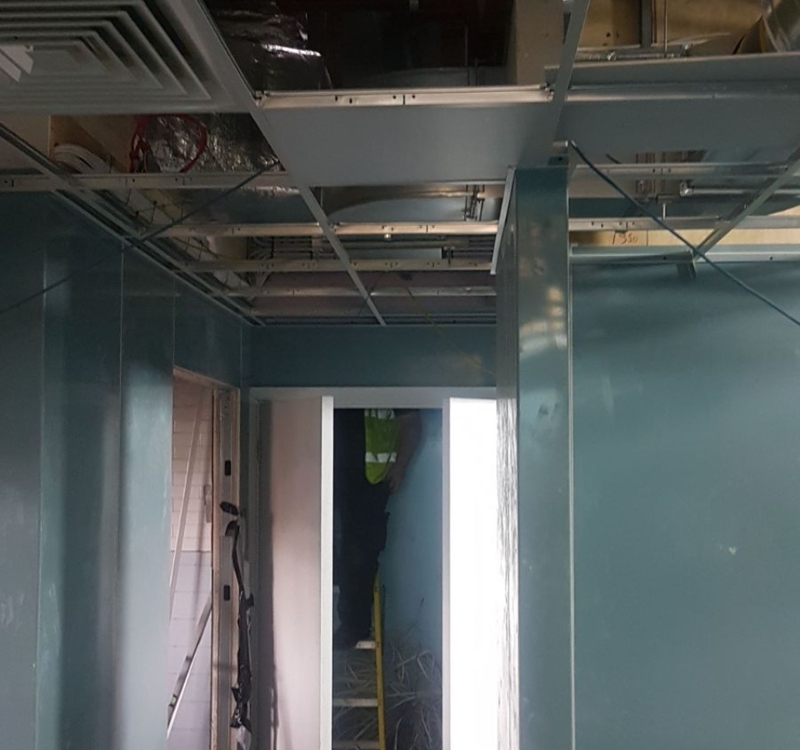 Our suspended ceilings were the perfect solution for the job our fitters just completed in TGI Fridays in Manchester. 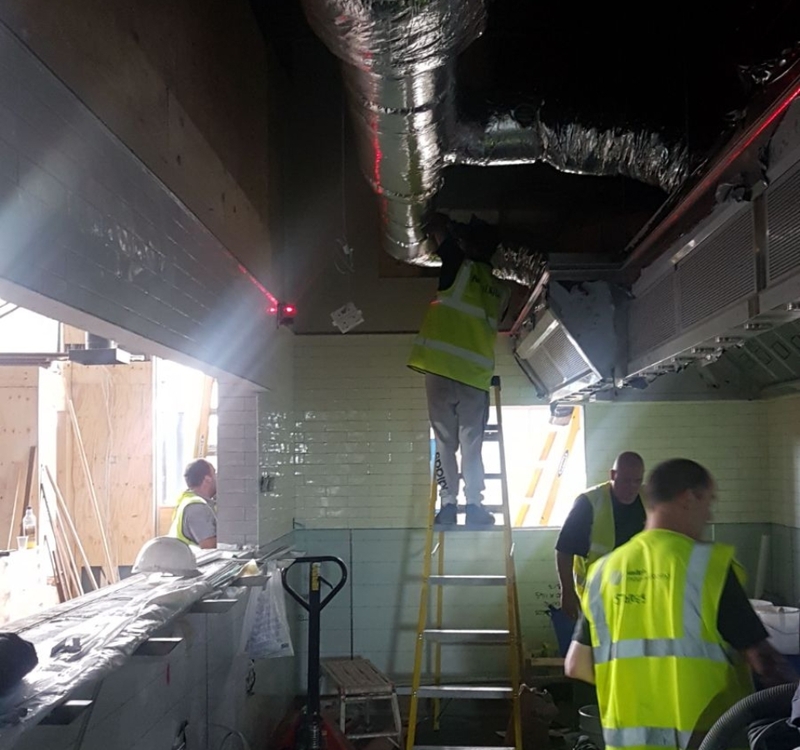 We were asked to install a suitable suspended ceiling for the food prep and kitchen area in the back on the restaurant. Our fitters installed a Smooth, Washable Vinyl Faced Tile and white grid. This gives a smooth, clean white look and is perfect for the kitchen area as it is resistant to steam and is cleanable. 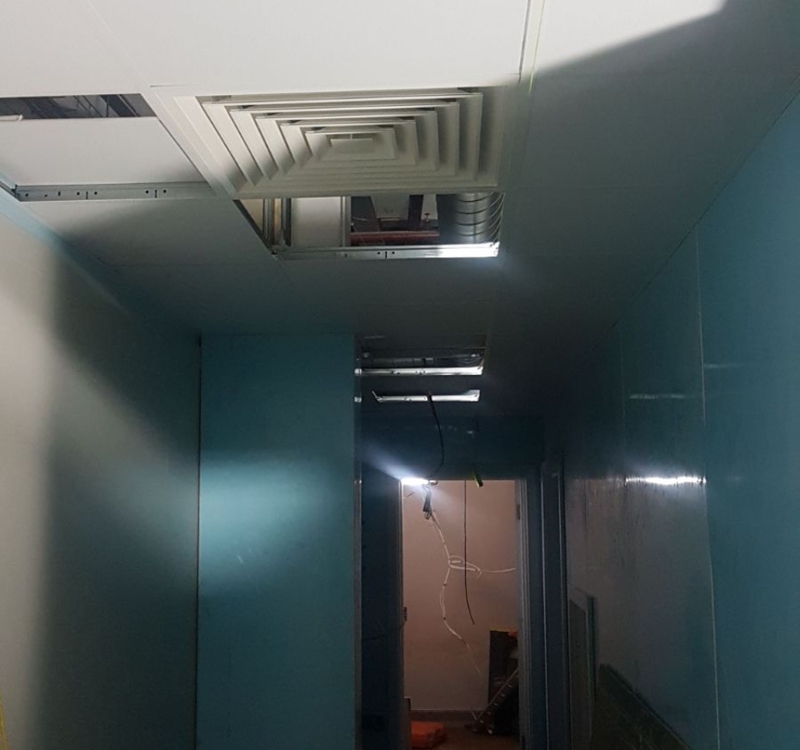 The customer was very happy with the suspended ceiling at the end.